A walk to Redondo Beach! One of the best locations in the complex! Serene End Unit with a Private Balcony overlooking the hillside. Cool breezes and lots of natural light makes this unit unique and tranquil. Gated community with pool, spa, clubhouse, gyms, & sauna. Freshly painted interior, New carpet in the bedrooms,gas fireplace, laundry area in hallway, separate master bedroom and guest bedroom wings to give privacy, formal dining area, breakfast bar and laminate floors and not to miss vaulted ceiling. Luxury style condo, fabulous location. "Bought a Townhouse home in 2016 for approximately $625K in Torrance, CA. 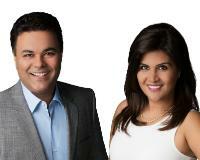 We were very lucky to find Rahul and Surbhi as our agents to find our dream home. I remember the first day we met Rahul he said " We will get you a house in 30 days. At first we thought it was bit aggressive to say that but in reality we do own a house today and yes we did get the house in 30 days"